On average, at any given time in the past, large species were no more likely to perish than smaller ones, and most large extinction events show no particular size bias. However, this all changed with the arrival of modern homo sapiens. Being big was actually a disadvantage because their populations couldn’t recover quickly enough to survive. As this graphic shows, the more time megafauna had to co-evolve with humans, the longer they were able to adapt and survive while also staying large. This explains why the largest animals on Earth are currently found in Africa or the deep oceans, places that had humans for a long period of time or few humans whatsoever. One study ran simulations and estimated that the median time to extinction during the pre-historic era after the arrival of humans was 895 years. Getting larger used to be an advantage, then things stopped working. In the investment world, stock market anomalies are the prime example of things that work for some time and then stop working. One of my favorite such anomalies is known as “The January Effect”. 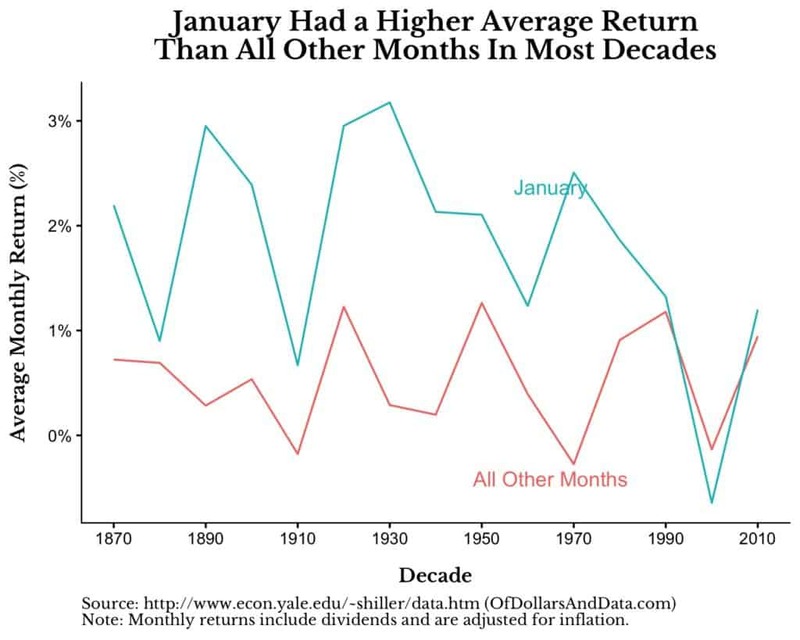 The January Effect is the anomaly where stock prices increase in January more than any other month in the year. The effect was discovered by Sidney B. Wachtel and published in The Journal of Business of the University of Chicago in April 1942 under the title Certain Observations on Seasonal Movements in Stock Prices. In the light of the scanty evidence presented here, it can readily be seen that forecasts predicated upon seasonal movements alone, ignoring completely the customary cycle and trend analysis, have an extremely high probability of success. Certainly the seasonal curve is well worth watching when formulating investment policy. However, Wachtel’s prediction could not have been more wrong. From January 1927 through March 1942, the January Effect existed as Wachtel described and was statistically significant (using a KS test). Over this period, January had an average return of 2.7% while the other months had an average return of just 0.31% for the S&P 500. The trend has vanished, killed by its own discovery. 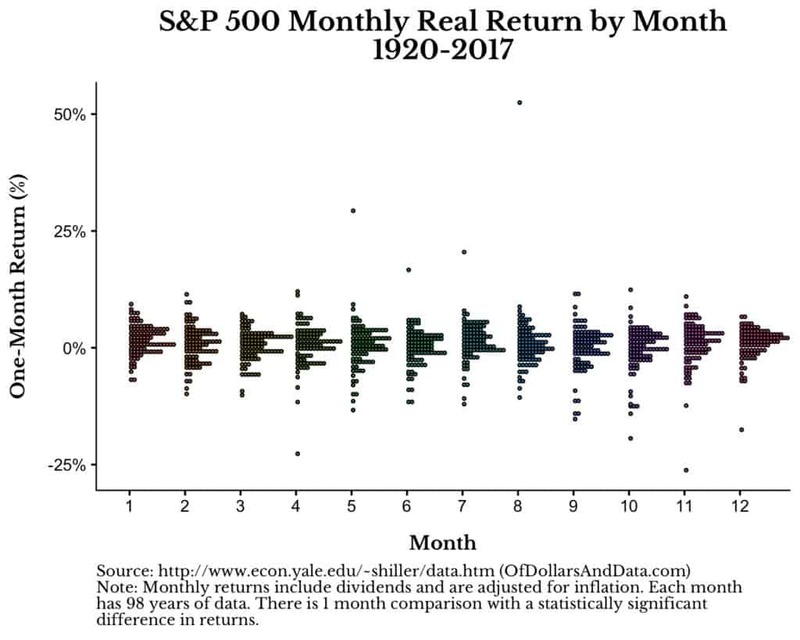 Despite any differences we see in the distributions of returns above, if I run the KS test and compare all months for signs of seasonality, there is only 1 month pairing (January and June) that shows a statistically significant difference in returns. However, given I did 78 tests comparing different monthly pairings(i.e. Jan vs. Feb, Jan vs. March, …, Jan vs. All others, Feb vs. March, etc. ), we would expect 4 of them (5%) to be statistically significant by chance alone. But, since we only observe 1 actual difference, not 4, this suggests that there is no evidence of seasonality across such a long time scale. While this image suggests the January Effect disappeared sometime around 1990, statistically, it was gone long before (as I have mentioned above). Note: I also looked at plots like the one above for all other months, and January is the only one that ever had a persistent difference in returns compared to all of the other months. My point in all of this is that many times stock market anomalies stop working once they were discovered and publicized. The Dogs of the Dow strategy, where you invest in the highest yielding stocks in the Dow Jones Industrial Average, used to work, but then it stopped. And this has happened to many other anomalies as well. Wes Gray highlights a paper showing how most stock market anomalies fail to replicate. The conclusion from the paper is that these anomalies were either (a) complete chance to begin with or (b) got arbitraged away after their discovery. In the end, it doesn’t matter what caused something to stop working, only that it did. In investing, business, and life, there are times when we make a discovery that allows us to exploitably profit from a situation. Whether that means living larger (literally) or making excess returns, anomalies exist from time to time. However, the world is in a constant state of flux and the things that used to work can stop working. This idea is nothing new. 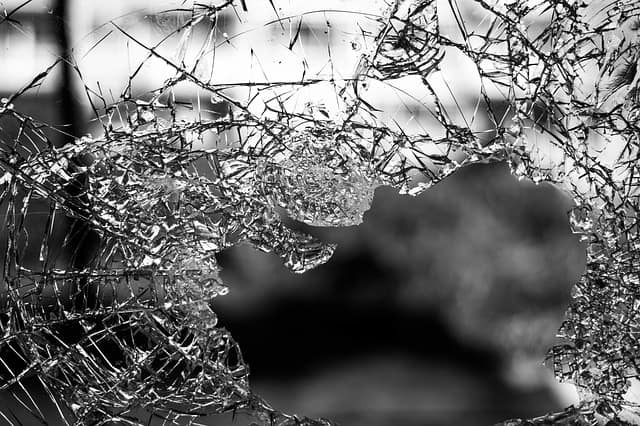 It is Schumpeter’s Creative Destruction. It is Mandlebrot’s discovery of the trend. It is the chaos that destroys the old order, bringing about the new. The only way to fight against such changes is to always be learning. Stay curious and be on the lookout for what is changing. What used to work may stop working, so you have to stay alert to the changing times. Despite this, there is still one anomaly that will likely never go away: human nature. Fear, greed, and every other emotion in between will plague markets now and centuries hence. Evolution is far too slow to rid us of these tendencies, many of which were beneficial in a pre-historic environment. So go forth and be aware of your nature, and that of others, as you invest and face the realities of life. Because when things stop working, this is when the real work begins.